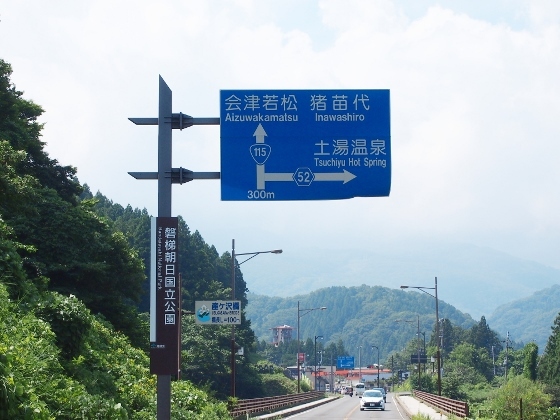 Today was a reserve day, but the weather being kept nice, I decided to make a day trip to Tsuchiyu Onsen. The route from Fukushima Station area was Route 115 only. 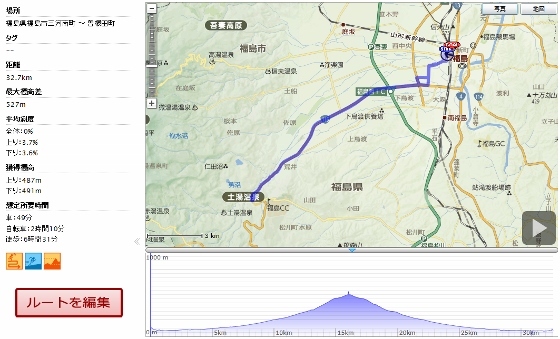 It was 33km round trip, and the elevation was 565m; however the climb was somewhat easier than the Takayu case. GPS logged map is shown below. 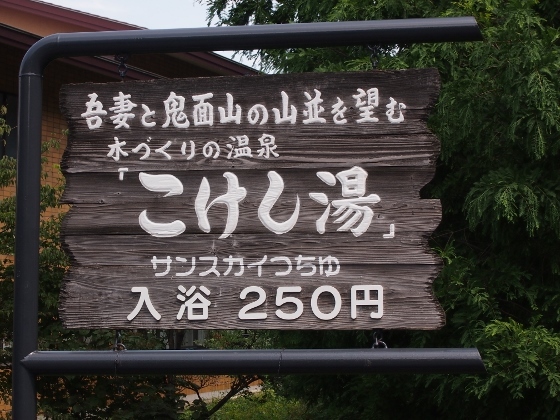 There was a hot spring bath for day use called "Kokeshiyu", which meant hot spring named after the famous wooden doll of Tuchiyu district. 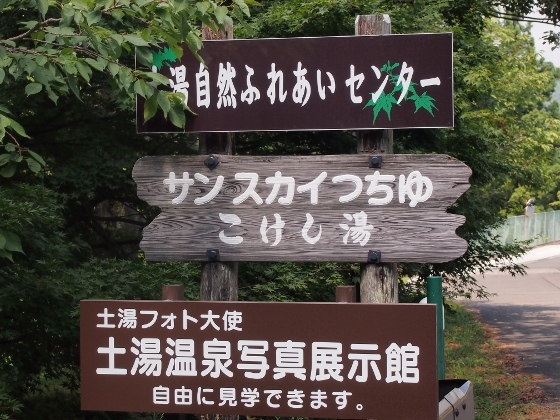 Characteristic of "Kokeshiyu" was simple spring, and it was very hot of 46 degrees Celsius when I bathed first, and then local people came in and added some water to 43 degrees. 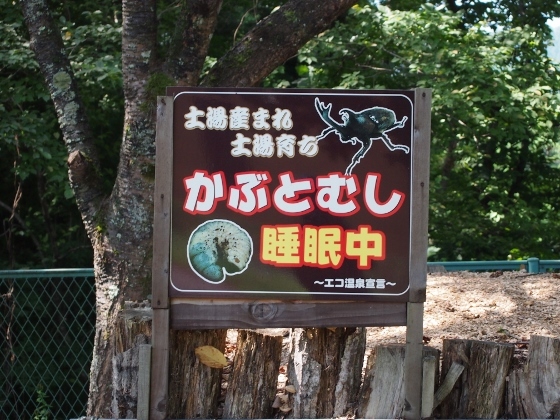 They were doing some other recreational activities such as shown in the pictures. 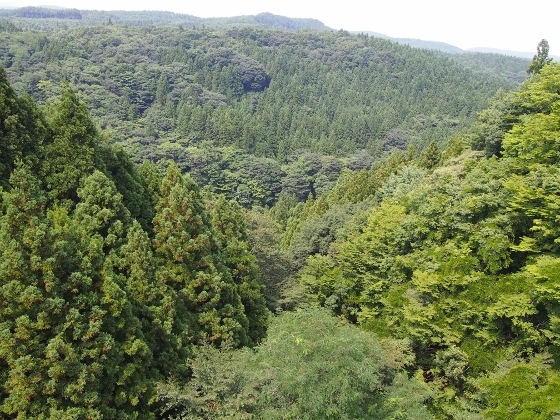 The picture above shows a view of woods from the "Wubugasawa Bridge" which you can see in the above first picture.